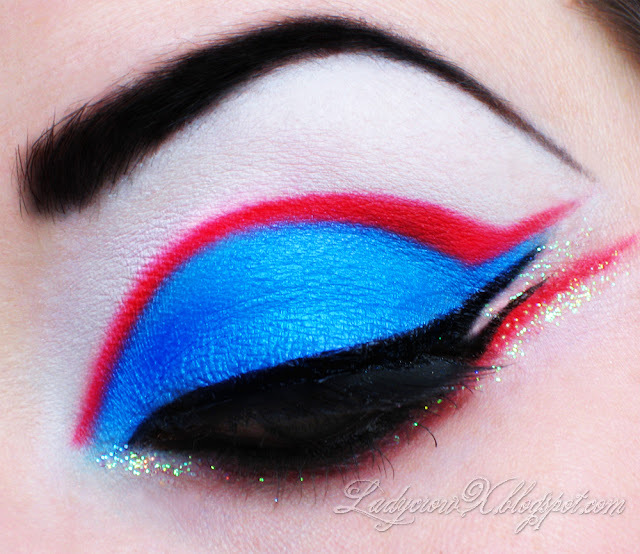 This week for our Beauty Blogger Collaboration we did the villains of Sailor Moon, I chose to do Cyprine & Ptilol. 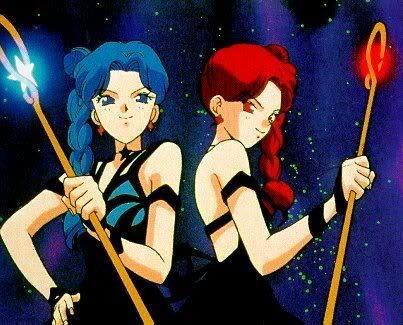 Their colors are Blue and Red with Black. Sorry if the full face picture looks a little off, my camera died after the close up shot and I had to take it with my camcorder! 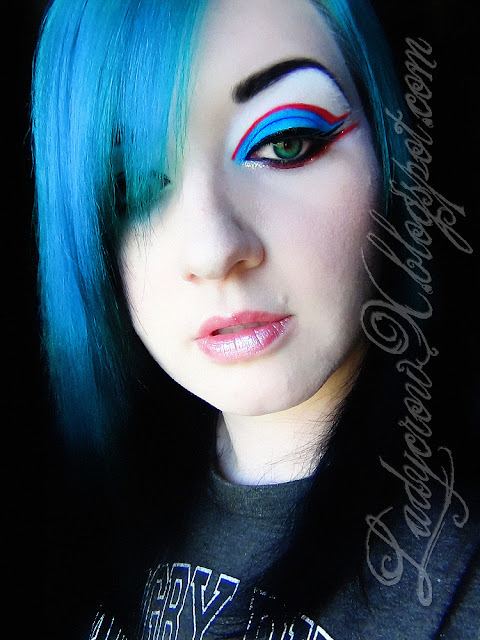 Be sure to check out the other beauty bloggers fantastic looks!! hot damn, Afterparty looks brilliant with your hair. love the shape you made with Love+! wow! Very well done! This looks absolutely gorgeous! Words cannot express how awesome this is. This is looks so bold and pretty, and I like that you represented both Cyprine and Ptilol!